The Election Commission on Friday removed Kolkata Police Commissioner Anuj Sharma, his counterpart in the Bidhannagar Gyanwant Singh and two Superintendents of Police -- Shyam Singh of Birbhum and P.S. Selvamurugan of Diamond Harbour police district. Election Commission dismissed Mamata Banerjee's charges. 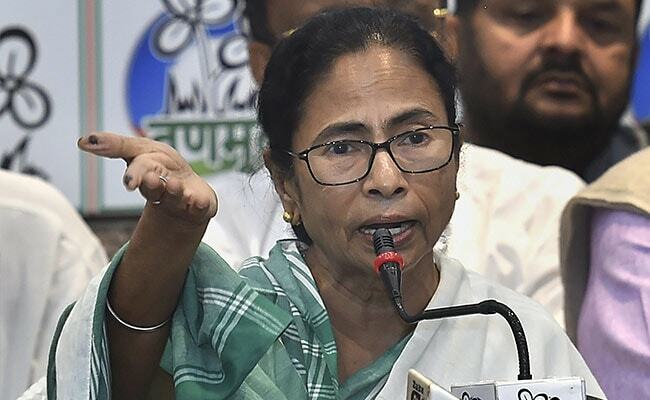 A day after West Bengal Chief Minister Mamata Banerjee shot off an angry letter to the Election Commission after it transferred four senior police officers, including the Kolkata Police Commissioner, the poll panel on Sunday issued a point-by-point rejoinder dismissing her charges and iterating it was well within its rights to effect the changes. Deputy Election Commissioner Chandra Bhushan Kumar, in a three-page letter, said that Ms Banerjee's missive contained "factually incorrect innuendos" and said the decision to transfer the four IPS officers was taken after repeated review meetings, receipt of a large number of complaints from various political parties and the cumulative feedback from the DEC in charge of the state and the Special Police Observer. "ECI is fully within its rights conferred by Section 28A of the Representative of People Act, 1951," he said. He termed as "unfortunate" Ms Banerjee's terming of the decision as "highly arbitrary, motivated and biased towards BJP". "It is unfortunate that the exercise carried out by the Election Commission of India only for the duration of the Model Code of Conduct is being labelled as arbitrary, motivated at the behest of ruling party at the centre. It would not be correct and dignified to respond to such averments to prove/burnish its credentials," said Mr Kumar. The EC on Friday removed Kolkata Police Commissioner Anuj Sharma, his counterpart in the Bidhannagar Gyanwant Singh and two Superintendents of Police -- Shyam Singh of Birbhum and P.S. Selvamurugan of Diamond Harbour police district. In a letter to state Chief Secretary Malay De, the commission said Rajesh Kumar, who was till now ADG and IGP, Pollution Control Board, would take over as the new Kolkata Police chief while Natarajan Ramesh Babu, appointed as ADG and IGP, Operations, will take over as Bidhannagar CP.